The cosmopolitan city of Houston is a vibrant hub for many expatriates, many of whom choose it as a permanent home. Explore the Moon city through expatriate eyes. One of the top destinations for expatriates from all over the world, the United States welcomes many hundred thousand of them yearly. If you are one of them learn about facts, figures, sizes and systems in the USA before moving. Houston takes a lot of pride in the knowledge to have been the first word spoken on the Moon and is one of the five U.S. cities that offer year-round resident companies in all major performing arts. The Greater Houston has almost 4 million people and it is continuously expanding. No surprise then that Houstonians live in their cars (the heat and humidity also play a role), so get ready for miles and miles behind the wheel. Life is very comfortable, relatively inexpensive in comparison to other city in the country, and most services are conveniently at hand. You will be surprised at the kindness of the citizens of Houston. Considering the size of the city it is paramount that you consider the travelling time between your key locations (schools, work place, services), this includes being aware of traffic at peak hours. Making the wrong decision will cost you a life on the road, so evaluate it carefully! Houston is a cosmopolitan, vibrant city with a degree of cultural activity that is often not expected by people moving from overseas. Just outside the city lies endless (albeit flat) countryside offering country living and country pursuits. Getting around is comparatively difficult beyond the immediate center of the city (downtown), where there is a public transport system, so you really do need to drive to get around. Taxis are available but the service is not extensive enough to be relied on beyond the downtown vicinity. English and Spanish are the major languages spoken. Should you speak Spanish alone, you can get by, as Spanish is so widely used. Medical facilities are some of the best in the world; but with both, dental and medical, expect to pay dearly for either treatment or insurance - nothing is free here, and the system behind the insurance cover plans is both complicated for expatriates and Americans alike - be prepared to be frustrated, and be prepared to understand and learn the logistics of the various systems. Houston is an excellent place for children in terms of facilities, past-times and extra curricular activities. Free time can be spent pursuing hobbies, music, cultural activity, computers, adventurous pursuits, and you will find outdoor activity is the norm for much of the year; although, during the very hot, humid summer months, everyone finds alternative pursuits. Everything you can possibly need is obtainable here to a degree, you may just have to be a little more adventurous or imaginative to achieve what you are looking for. the bureaucracy is no less than anywhere else until you are familiar with the systems (if you ever get to that degree of familiarity!). although America is considered child friendly, as with any large city, you should be particularly aware of your children's whereabouts to ensure the safety of your child. trying to give children a rounded approach to life has its own challenges here dueto the lack of transport systems - you have to drive them everywhere, which in turn means you are very protective and it becomes difficult to give them independence. drugs and firearm awareness (as in any city) in schools is paramount here, and if you arrive from a more sheltered environment, this can be daunting to both parents and children or teenagers, so needs to be dealt with in perspective. due to the nature of the road systems and the need for rurally based communities to be schooled, youngsters can drive at a young age - which can be a positive point or a challenge! with so much choice on offer regarding where to live and the sort of house/accommodation that appeals to you, try to consider the "pros" and "cons" before committing - many people would change their choice a little while after arriving. So before making a final decision, do as much research as possible prior to moving, to understand the implications before you arrive here. 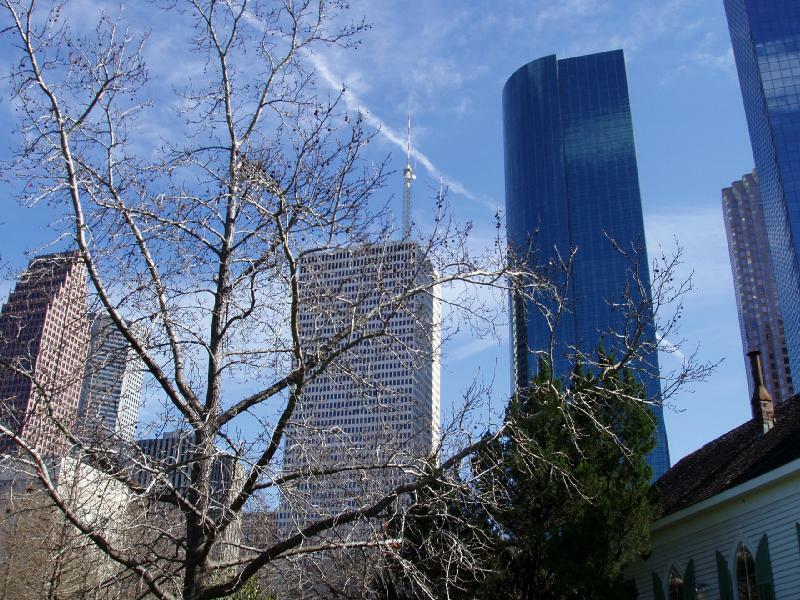 commercially, Houston - like the U.S. in general - can be overpowering with advertising, shopping and consumer awareness. This concept is far beyond normal standards when comparing it to other areas you may have lived in and it becomes difficult to balance this concept for both adults and children. You choose to either go with the flow or stick to your principles personally and not be persuaded by the effects of commercialism! disposable income is eaten up here due to the nature of living and spending money. Be more aware of the ease of falling into the cultural acceptance of living off credit and plan for the future - saving more carefully than you may do otherwise. 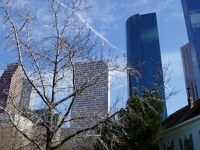 Houston is the first of the expat city guides for the USA.